The owner of the Mandalay Bay resort has sued victims of the Las Vegas shooting that killed 58 people and injured 500 in order to prevent liability. GM Resorts International sued the victims claiming a 2002 federal statue negates liability for any company that adopts "anti-terrorism technology", which they say they did. GM Resorts International asked a judge in Nevada for a declaration that the company is not liable. The shooting occurred last October when Stephen Paddock brought huge amounts of luggage up to his room over the course of a couple days. Unbeknownst to the hotel, Paddock had set up an arsenal of weaponry, surveillance equipment, and ammunition that could have held off police for days. Paddock opened fire on his target October 1, a country music festival taking place near the hotel. The horrific shooting lasted nearly 45 minutes and left many, wounded and dead. MGM has faced more than 2,500 individual lawsuits stemming from the shooting according to the company's complaint which it filed July 13 in Las Vegas federal court. The company claims that because it hired a company that was certified by the U.S. Department of Homeland Security to provide security to the Route 91 Harvest Festival to "help prevent and respond to mass violence" that it is not liable and they might be right. If the judge agrees that the company is within the statute, the law "precludes any finding against" MGM and other defendants and prevents defendants from targeting the companies insurance policies as well. 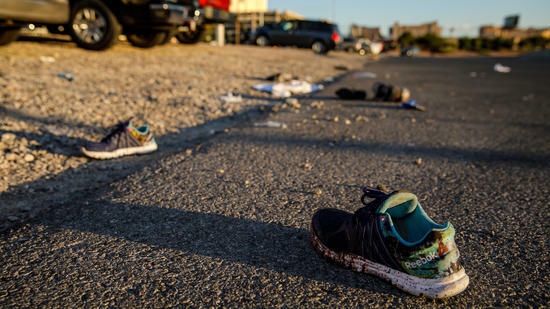 But a Las Vegas-based lawyer for the shooting victims named Robert Eglet says the company's suit targeting the 800 survivors was misfiled in federal court. MGM is incorporated in Nevada so suits over the shooting must be heard in state court. Eglet called the company's countersuit a "blatant display" of judge shopping. Not a single person died in that 'shooting'. It was all a Mossad false flag. Wake up you are educated stupid.